Yep, FREE e-books just for agreeing to read, then write a review. 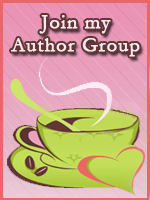 Details are in my guest post today at the Pink Fuzzy Slipper Writers blog. There’ll be excerpts too. I hope you’ll click the link and join us in conversation. This entry was posted in Annie Rayburn, Books, Everyday blather, Free Stuff, Going Places, Promo, Reviews and tagged blog, free-stuff, pink fuzzy slipper writers blog, review. Bookmark the permalink.